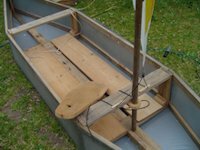 A small outrigger canoe (ongoing project). 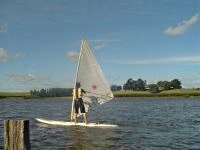 How I made a windsurfing rig from bamboo and an old laser sail. 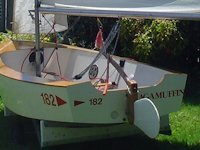 My $50 boat, kinda like a sunfish, but no-one knows what it is. 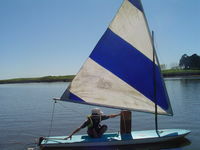 A sailing canoe made from recycled wood and tarpaulin. 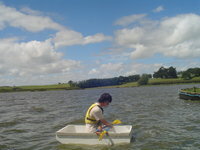 Improvements are made, a new sail, an outrigger and repairs.